I got my start in graphic design and marketing using PowerPoint. I remain a PowerPoint evangelist. I even think Microsoft would have had much more success basing Publisher on the PowerPoint work-flow than the Word work-flow. 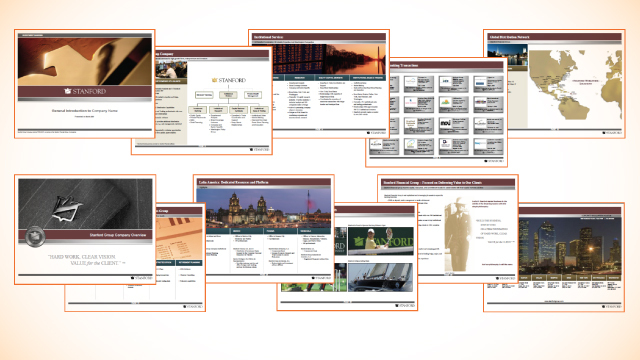 I have created hundreds of presentations - even a few for Microsoft. Presentations fall into two main categories: screen and print. At one time the two categories required entirely different layout choices, but today with the advent of higher resolution projectors, screens and color printers the differences are fewer from a layout perspective. The above presentation was designed for print. I designed the template for a group of employees to use (consistent with the firms visual branding that I also managed) for presentations to clients.